WMC welders are highly capable of manual and automatic flame cutting, plasma cutting, MIG, TIG (heli-arc) and stick welding. 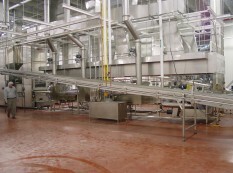 Our welders have extensive experience in food grade systems following strict FDA/NSF guidelines. Welding certifications are available upon request. There are about 100 different types of welding. Arc welding is the most common type. Standard arc welding involves two large metal alligator clips that carry a strong electrical current. One clip is attached to any part of the workpiece being welded. The second clip is connected to a thin welding rod. When the rod touches the workpiece, a powerful electrical circuit is created. The massive heat created by the electrical current causes both the workpiece and the steel core of the rod to melt together, cooling quickly to form a solid bond. During welding, the flux that surrounds the rod’s core vaporizes, forming an inert gas that serves to protect the weld from atmospheric elements that might weaken it. Welding speed is important. Variations in speed can change the amount of flux applied, weakening the weld, or weakening the surrounding metal by increasing heat exposure. Skilled welding, soldering, and brazing workers generally plan work from drawings or specifications or use their knowledge of fluxes and base metals to analyze the parts to be joined. These workers then select and set up welding equipment, execute the planned welds, and examine welds to ensure that they meet standards or specifications. They are even examining the weld while they’re welding. By observing problems with the weld, they compensate by adjusting the speed, voltage, amperage, or feed of the rod. 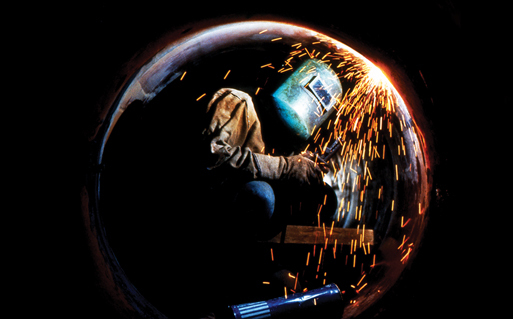 Highly skilled welders often are trained to work with a wide variety of materials in addition to steel, such as titanium, aluminum, or plastics. Some welders have more limited duties, however. They perform routine jobs that already have been planned and laid out and do not require extensive knowledge of welding techniques.